1. In Ancient Greek music theory, tones of indefinite pitch and intervals with complex ratios, tones "not appropriate for musical usage." In New York City, a new vocal ensemble dedicated to breathing life into those disallowed tones, new and old. 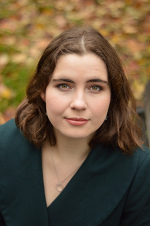 Charlotte Mundy is a classically trained, experimentally inclined Canadian soprano, and a proud member of some of the coolest musical #squads in NYC. Aside from her work with Ekmeles, she "slays the thorniest material like it's nothing" (WQXR) with TAK ensemble, performs eccentrically ornamented Elizabethan songs and new complexity duels with guitarist Jordan Dodson, and sings neo-psychedelic, post-prog tunes with The Knells. As a soloist she has given critically acclaimed performances of Schoenberg's Pierrot Lunaire ("remarkably arresting," I Care if You Listen), Boulez's Le Marteau san Maître ("excellent," NYTimes) and Feldman's Three Voices ("mesmerizing," NYTimes). Mundy will sing and act in A Star Has Burnt My Eye in the upcoming BAM Next Wave Festival, she recently sang and sauntered in an installation by Martin Creed at the Park Avenue Armory, and has sung while dancing with New Chamber Ballet. She hosts weekday afternoons on Q2music, a Peabody Award-winning affiliate of WQXR dedicated to contemporary music. Elisa Sutherland is known for her detailed, stylistic interpretations of both early and new music. 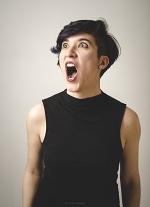 She has performed with ensembles ranging from American Bach Soloists to Roomful of Teeth. Recent opera roles include Dido in Dido and Aeneas, Dorabella from Cosi fan tutte, Ottavia in L'incoronazione di Poppea, and Nancy in Albert Herring. 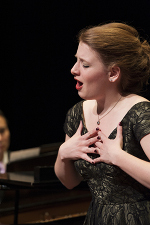 Elisa was the first place winner of the inaugural Handel Aria Competition in Madison, Wisconsin, and has won Encouragement and District awards at the Met Opera Auditions. This upcoming season, Elisa will perform extensively with Philadelphia's The Crossing, DC's The Thirteen, and her own vocal sextet, Variant 6. 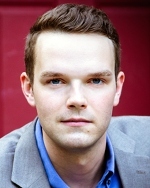 Countertenor and conductor Tim Keeler is sought after as a performer and an educator. He has sung with some of the best ensembles in America, including the Choir of Trinity Wall Street, TENET, New York Polyphony, ekmeles, and Chanticleer. Tim has directed the choirs at the Special Music School High School in Manhattan and worked closely with the Young People's Chorus of New York City as a vocal coach and conductor. He was also the choral conductor for Juilliard's new Summer Performing Arts program - a two-week intensive summer course in Geneva, Switzerland. He holds degrees from Princeton, Cambridge, and the University of Michigan, and he is currently pursuing a doctorate in Choral Conducting at the University of Maryland. 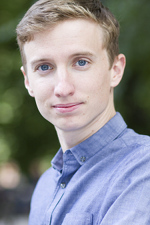 Steven Bradshaw has a appeared as a soloist with The Philadelphia Chamber Orchestra, Tempesta Di Mare, Piffaro, Bang on a Can, Old City Baroque, The Bach Collegium of Philadelphia, and Network for New Music. He performs regularly with Roomful of Teeth, Seraphic Fire, The Choir of Trinity Wall Street, Spire, Blue Heron, Yale Choral Artists, and Apollo’s Fire. He is a founding member of the Crossing: A vocal ensemble fully dedicated to new music. The Crossing has recently collaborated with ICE, Quicksilver, The American Composer’s Orchestra, and PRISM saxophone quartet. Steven premiered David Lang’s Lifespan for three whistlers and a four billion year-old fossil, and gave over 300 performances of the work. In addition to his singing career, Steven is a dedicated visual artist. He contributed a large visual component to the premier of Gavin Bryars’s The Fifth Century by the Crossing and The PRISM Saxophone Quartet. His artwork has been featured at Stephen Romano Gallery, Gristle Gallery(New York), Arch Enemy Arts, GrindcoreHouse, Philamoca(Philadelphia) Baker-Hezeldenz(Tucson AZ) and La Luz De Jesus gallery in Los Angeles California. 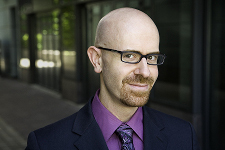 Jeffrey Gavett is dedicated to new music as composer, performer and improviser. 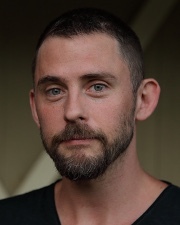 He has appeared with a broad array of artists, ranging from the Rolling Stones and indie rock group Clogs to new music groups such as ICE, Roomful of Teeth, Talea Ensemble, and his own ensembles Ekmeles and loadbang. He has worked with composers including Chaya Czernowin, David Lang, Liza Lim, Terry Riley, and Steven Takasugi. He has performed at Alice Tully Hall, Issue Project Room, The Kitchen, Merkin Hall, Miller Theatre, Le Poisson Rouge, Roulette, The Stone, and Zankel Hall, and has been praised as a “brilliantly agile singer” by the New York Times. Mr. Gavett holds degrees from Westminster Choir College and Manhattan School of Music. Steven Hrycelak is in demand as an operatic, concert, and ensemble performer. He has performed with the NY Virtuoso Singers, Toby Twining Music, ekmeles, Early Music New York, Vox, TENET, Meridionalis, Seraphic Fire, and a vocal jazz quintet, West Side 5. He has also been a frequent soloist at Trinity Church Wall Street, as well as with NYS Baroque, Pegasus, Musica Sacra, 4x4, the Waverly Consort, the American Symphony Orchestra, Sacred Music in a Sacred Space, Union Avenue Opera, and the Collegiate Chorale. His performance of Monteverdi’s Seneca with Opera Omnia was hailed by the NY Times as having "a graceful bearing and depth." He has also traveled the US, Canada, and Europe performing in Frank London's Klezmer musical, A Night in the Old Marketplace. Mr. Hrycelak has degrees from Indiana University and Yale University, where he sang with the world-renowned Yale Whiffenpoofs. Additionally, he is a coach/accompanist. 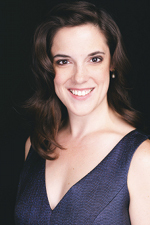 Soprano Stephanie Lamprea is an active performer, recitalist and curator in the United States, specializing in 20th and 21st century classical repertoire. Her solo performances have been described as “electrifying”, and her curatorial work was recently awarded a grant from the prestigious Puffin Foundation. Stephanie devours mammoth works of virtuosity and extended technique with ease and creative insight. In 2018 she performed the entirety of Georges Aperghis's Recitations in New York and in Boston. Other major works she has performed include Schoenberg’s Pierrot Lunaire, Luciano Berio’s Folk Songs, and Shostakovich’s Seven Verses of Alexander Blok. Stephanie has performed as a solo and chamber musician at National Sawdust, Spectrum, the Isabella Stewart Gardner Museum, Miller Theater at Columbia University, Symphony Space, the Terrace Theater at Kennedy Center, the Slipper Room, and Park Avenue Armory. She has performed new works by composers including Anton Webern, Olivier Messiaen, Kaija Saariaho, David Lang, George Crumb, Meredith Monk, Jason Eckardt, Aaron Jay Myers and Ashkan Behzadi. Described by the New York Times as “a soprano of extraordinary agility and concentration,” Mary Elizabeth Mackenzie has captured the attention of audiences throughout the United States. 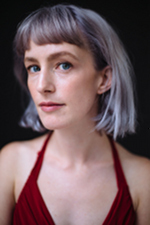 A passionate performer of contemporary vocal music, Ms. Mackenzie has collaborated with John Harbison, Richard Danielpour, and James Primosch; and works closely with young composers to develop and premiere new works for voice. As a chamber musician she has appeared with the American Contemporary Music Ensemble, the Chameleon Arts Ensemble of Boston, Ekmeles, the Da Capo Chamber Players, Fulcrum Point New Music Project, Le Train Bleu, and the Talea Ensemble. Notable solo appearances include Harbison’s Closer to My Own Life with the Albany Symphony; Elliott Carter’s Warble for Lilac Time with the American Symphony Orchestra at Carnegie Hall; Reinbert De Leeuw’s Im wunderschönen Monat Mai at the Bravo Vail Festival; Schoenberg’s String Quartet No. 2 with the Borromeo String Quartet; and Pierrot Lunaire at Town Hall Seattle. 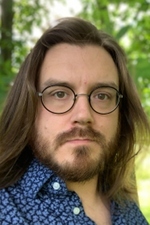 Timothy Parsons is active as both soloist and ensemble singer in New York City. He is a member of the Grammy®-nominated Choir of Trinity Wall Street. Appearances include the Montreal Bach Festival, the MATA Festival, the Stavanger Kammermusikkfestival, and the Festival Oude Muziek Utrecht. 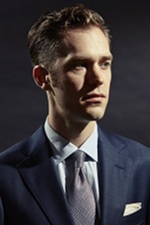 As a soloist, Timothy has been hailed as a "most dazzling contributor...whose magnificently muscular singing...made one want to coin a new vocal category just for him — the heldencountertenor…” (San Francisco Chronicle) He is the Interim Music Director of the Park Slope Singers, and an Adjunct Professor of Voice at William Paterson University. Garnering praise for his “most impressive… bright, clear tone and lively personality” (New York Times), tenor Brian Giebler has been heard singing diverse repertoire around the world. A “faultless high tenor” (Seattle Times) with “great elegance of tone and phrasing” (Baltimore Sun), Mr. Giebler has been a soloist with the Virginia Symphony Orchestra, American Classical Orchestra, Trinity Wall Street Baroque Orchestra, New York City Chamber Orchestra, Pacific Northwest Ballet Orchestra, and Saginaw Bay Orchestra, and next season he will make his debut with the Cleveland Orchestra at Severance Hall. He performs regularly with the GRAMMY® Award-winning Conspirare of Austin and the GRAMMY® nominated Seraphic Fire of Miami; he also is a member of the GRAMMY® nominated Choir of Trinity Wall Street in Manhattan, where he most recently sang the Evangelist in Bach’s St. Matthew Passion. This year, Mr. Giebler was a finalist in the Tafelmusik International Vocal Competition and received Honorable Mention at the Biennial Bach Vocal Competition sponsored by the American Bach Society and the Bach Choir of Bethlehem. In 2015, he was selected as the Victoria Bach Festival Young Artist and the Carmel Bach Festival’s Virginia Best Adams Tenor Fellow.